If you've stumbled upon this, hi! I'm Kiana, and I'm really glad you're here. 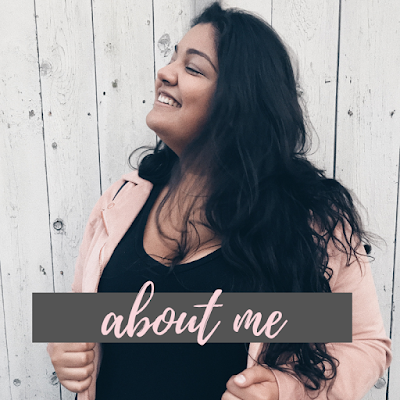 Writing and blogging has been an interest of mine for awhile and I'm so happy I get to share it here with you! I started this site to use this as a platform as a way of touching base with some pretty awesome listeners, amidst the craziness of social media being all over the place! We will be able to connect in a better quality way here. I'll pop on every so often with things that I believe can be useful to anyone who: A) Is living on Long Island, B) Includes music as an essential part of living (like myself), and C) Likes to learn on how to get the most out of your time and life! If you love any of those above, you'll feel right at home here. One of my favorite things about what I do is that essentially, I automatically gain thousands of friends, AKA, one of them being YOU! Any reader, any listener, is automatically considered a friend of mine. Making new friends was always something that I loved to do anyway, even when I wasn't a DJ! So now, I get to do it as a part of my profession, which is pretty awesome! I've been on the airwaves for a whopping TWO years! (Sense my subtle sarcasm?) I'm what some might call a baby DJ, but I feel like I've been doing it for my entire life. I guess that's a good sign that I'm in the right job! As I grow and learn more about radio, I'm looking forward to sharing with you my experiences along the way. Apart from that, I am a very 'experienced' Long-Islander and New Yorker, as I've lived here my entire life. I'm confident in saying that I know great spots all around this awesome Island! I'm obsessed with the history of it as well, because when you look into it, it's actually really cool! From the time I was 8, I have so memories of me in my dance class, being able to name off artists that would stump my dance teachers as they played over the speakers off the top of my head. What 8-year-old with no access to the internet knows who Fantasia Barrino is? Let alone knows they were a semi-finalist on American Idol? That's when I caught wind that music was my strong suit. From there, it turned into me getting to talk on the radio everyday. How I got THERE is a completely separate post. I digress. Favorite music genre: I love all types, but I have a special love for pop & country! Favorite hobbies: Talking people's ears off, shopping, decorating, writing, and oddly enough, I'd say cleaning, too. Favorite place in the world: A three-way tie between Montauk, NY, Upstate NY, and Disney World. I'm thrilled to have this platform and I hope to use it in the best ways possible! Thank you for joining me here. I look forward to hearing from you as well! Shoot me an email, tweet me, message me... call me beep me if you wanna reach me. (If you got that reference, I love you more.) I'll leave all of that contact info below. Thank you again for joining me here!